I continued my aggressive buying spree this morning, and knocked off two more companies off my most recent Stock Watchlist. I guess these moves are starting to become rather anti-climatic, since I’m basically announcing them a few days before they actually happen. 😉 Nonetheless, I’m sticking to the plan, and building back up my stock portfolio. 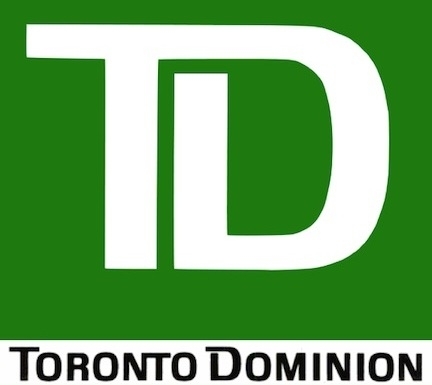 My first purchase this morning was for 100 shares of Toronto-Dominion Bank (TD). I had mentioned that I would most likely be a buyer at below $43/share range, so I was pleasantly delighted this morning to tune in to the market and witness prices a bit below that. I didn’t waste much time and initiated a position with TD at $42.10/share. TD recently announced a dividend increase to $0.51/quarter, which will be paid out at the end of April. This transaction will add $51.00/quarter, or $204 to my annual passive income. The next move I made was to pick up another stock on my radar. After some debate, I settled on some shares of AT&T (T). 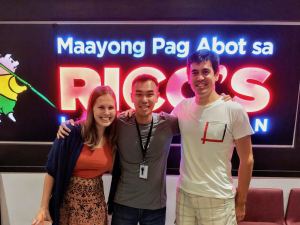 My rationale for buying T is simple — I wanted some more passive income! AT&T is not a growth company, and I don’t expect much share price appreciation or dividend growth. However, at about 5.7% dividend yield today, it’s tough to resist, and the strong income will help balance out some of the growth stocks I have in my portfolio which don’t pay a dividend at all. I acquired 100 shares of T at $32.90/share. The next payout will be in May, and the dividend will most likely continue at $0.47/share. This transaction will add $47.00/quarter, or $188 to my annual passive income. Another day, and a few more stock purchases. Together, both transactions will net $392/year in passive income. Just like the last episode, I decided to again stick to the large cap dividend stocks. TD and T are both hefty dividend payers, so these transactions will provide a nice boost to the overall dividend yield of the portfolio. With that said, I will say that I’m still seeing a lot of good deals on the market. Although I settled on these two companies, there are still plenty of others that have my attention: Coca-Cola (KO), Pepsi (PEP), Chevron (CX), Exxon Mobil (XOM), Gilead Sciences (GILD), etc. I’m done for today, but will keep my eyes open for more opportunities. Energy stocks will most likely remain attractive for quite awhile longer, so my plan will probably be to nibble off small chunks here and there. So, even though the stock market is still near all-time highs, I’ve been having a lot of fun shopping lately! Hopefully the good times continue and the market keeps on going down! Note: I did end up making an additional purchase later today, after all. I picked up 100 shares of Coca-Cola (KO) at $40.85/share. I now own 200 shares of KO. Nice purchases FF. Awesome. In enjoy your posts and hope you are enjoying your time off. Rest and relax and recharge. Take care my friend. Thanks, appreciate the support! I’m doing my best to relax and recharge. This latest rehab on Rental SH #3 is taking a bit of time, but I’m enjoying it quite a bit. Nice purchases, we own TD and T in our portfolio as well and recently just added some more TD shares. Thanks, I like both stocks as well, especially at these levels. Can you update us on how much $ you’ve deployed and how much ammo you have left? Is your goal to generate 3% passive income on your $100k? That’s about $3000. How close are you to that? And again my only issue is your risking 100k to make 3k. Eh :/. Of course we hope these companies appreciate but thats not a given. Pull up charts. EMR for example if you bought early 2013 (2 years ago), capital appreciation is flat. Sure you got your 3% but the risk is high especially now that most savvy investors agree the market is over valued. T same story, from 2012 no capital appreciation. Not to mention dividends are taxed higher so of the paltry returns your losing more from it. Give up a little dividends for the growth so you capture appreciation – and lots of it! Like JNJ, now that I can get behind! But I can understand if these low growth stocks aren’t your cup of tea. This style of investment isn’t for everyone but I can see the need for it in my overall portfolio. Great purchases, FF. You never go wrong with these solid companies. Passive income will just come in quarterly like clockwork. Nice purchases! Thinking about getting some additional T as well… hard to pass that nice fat yield. You’re doing amazing! Great time to buy ion the dips. No need to pull the trigger all at once. Keep some dry powder in case you need it.